Advantages︰ 1 made from cast iron which is strong. It is a good relatively inexpensive material for your fire pit that will last a long time. 2 It's high temperature finish looks great after fire. 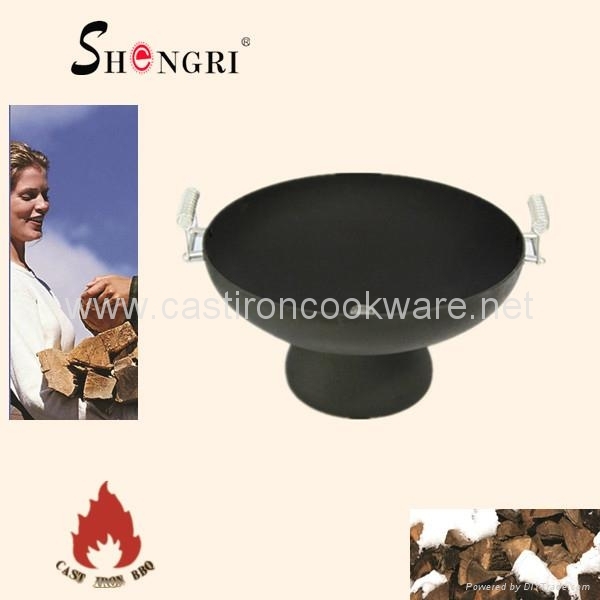 3 We have extensive amount of cast iron fire pit merchandise that is durable and dependable. 4 ash holder at the bottom, do not any harm to the ground or grass.